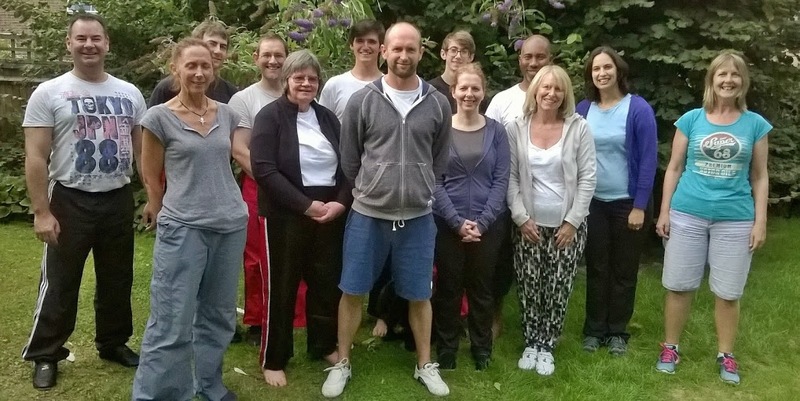 Summer 2014 has seen three tai chi afternoons take place, two in Haywards Heath and one in East Preston. These extra sessions have been a great way for students to practice extra elements of tai chi that we don’t always get a great deal of time to practice in class, where the main focus is the tai chi form itself. Over the three sessions we have spent quite a lot of time learning and practising meditation and an entire chi kung form, working on partnered exercises – pushing hands, sticking hands and martial moves from the form, we’ve had a fascinating talk and demonstration on Chinese medicine and acupuncture and everyone has had the chance to meet other club members who train in different classes or locations. So as the rain is pouring outside, it seems like the autumn is here early but it has been a great summer of events and very pleasing to see them all well attended and enjoyed by all! (More photos can be found in the gallery). Today's workout came in the form of moving house!